These wine glasses are perfect for famlies and parties. Each person gets to have their own color glass for the evening. 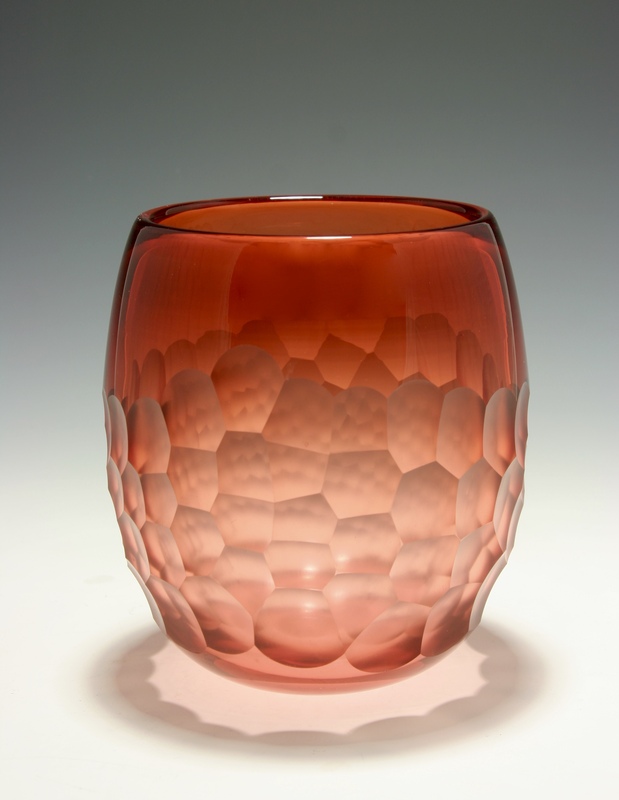 They are handmade with colored glass wraps applied to the outside of the glass. We use these glasses every day and have been putting them in the dishwasher for years. 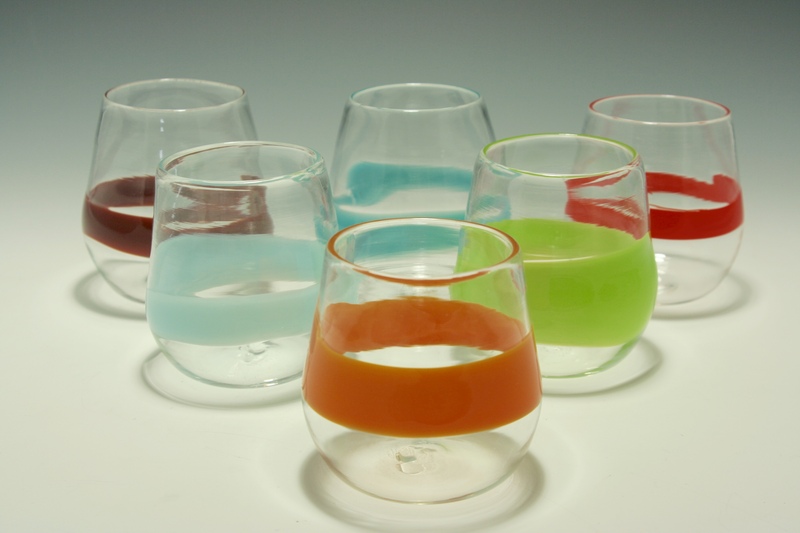 These glasses have personality and make the perfect gift for weddings and house warming parties. Set of six. 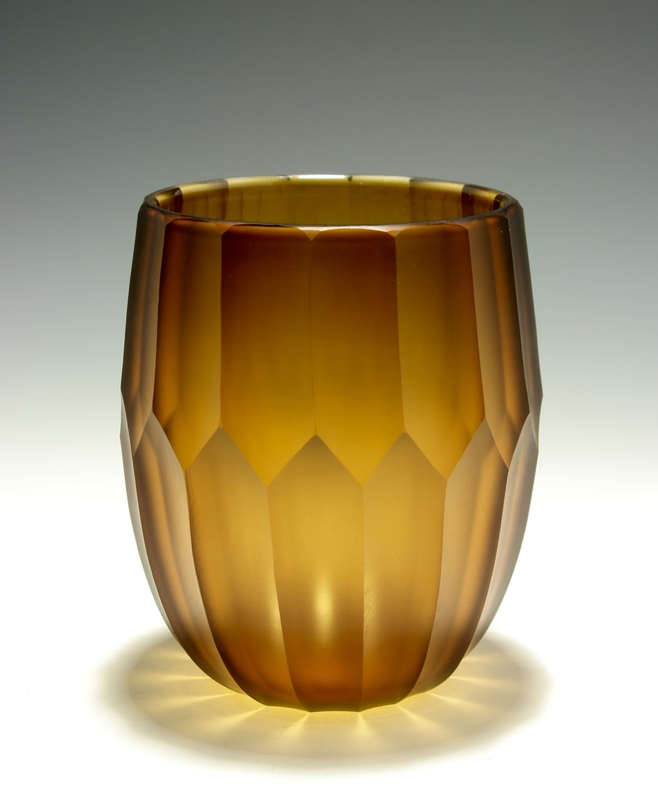 Our Reed Vases are Jean's winning design for the Prestigious Pilchuck Glass School Annual Auction in 2001. We keep making them because customers still love them. They come in most gem stone colors and are available in three sizes. This Gold Reed is 7.75"h and looks great with a votive candle placed inside. 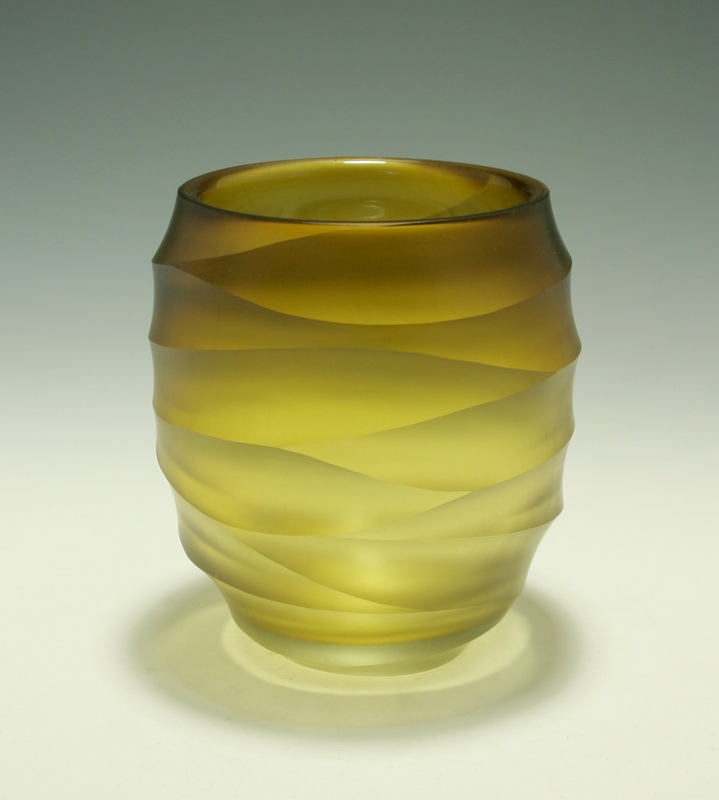 This Zig Zag Vase measures 5.5 inches tall and 4.75 inches across. It is Diamond wheel carved on our lathe. The design is inspired by cut stones Jean used to work with at a jewerly store. The Zig Zag design is retro yet contemporary. 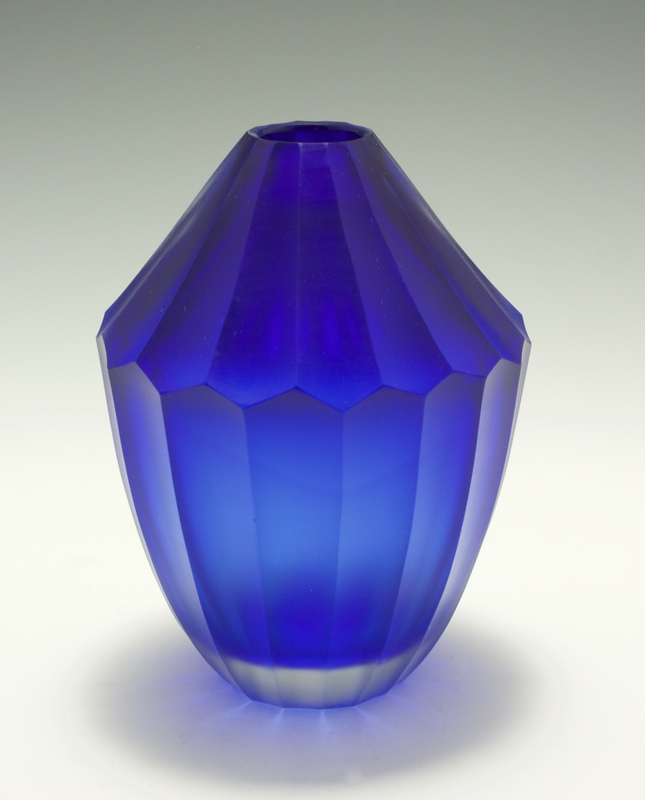 The Vase is 5.5 inches high by 4.75 inches wide. This Apricot Vase is carved using the Batutto tecnique. The carving does not encompass the whole piece therefore giving the vase contrast between the two different surfaces. 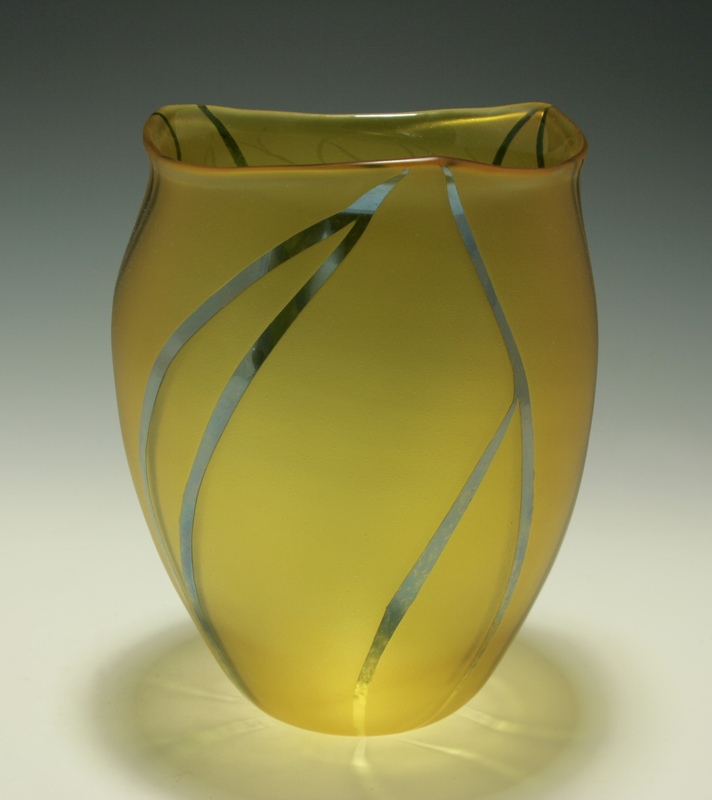 The vase ie 6"h x 5.5"w x 5.25"d.
This Wave Vase measures 5.5 inches tall and 5 inches wide. The facets swirl around to give the appearence of movement like the ocean. This piece is 5.25 inches high x 4.75 inches wide. It is hand blown and hand carved with diamond wheels. 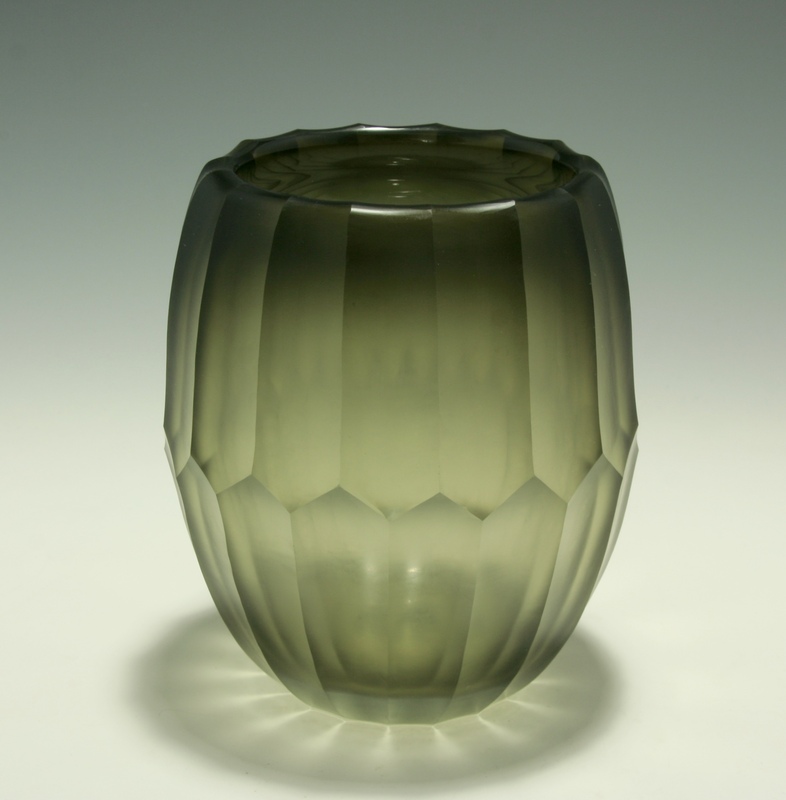 The inspiration for this design come from classic cut glass. 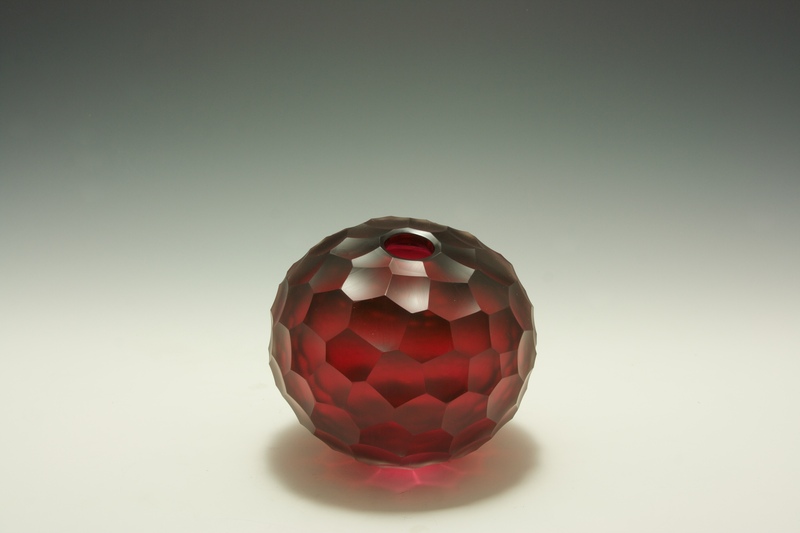 This Batutto Palina is 4.75 inches high x 5.5 inches wide. It is hand blown, hand carved with diamond wheels and is unique. This ancient tecnique is beautiful in its simplicity. © Copyright 2019 Salatino-Gandolfo Glass. All rights reserved.